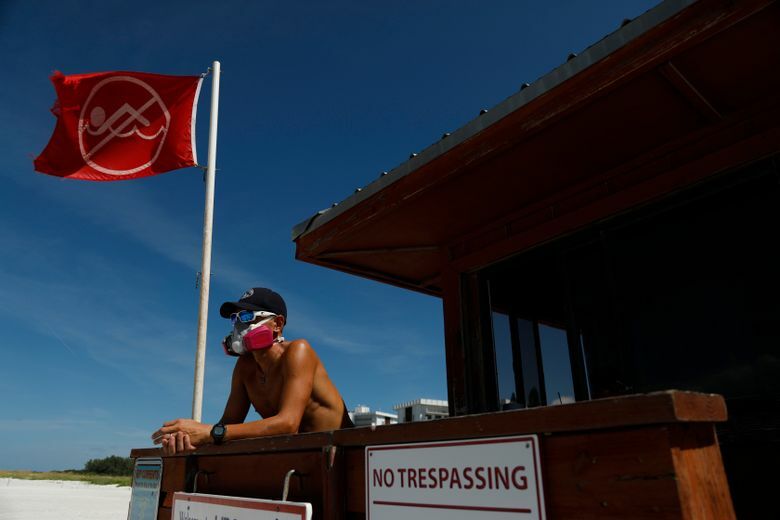 As the outbreak nears the year mark, with no sign of easing, it’s no longer a threat to just marine life. Tourism has taken a sharp drop, and business owners report nearly $90 million in losses and have laid off 300 workers. With no mask of her own, McShane, 24, wore a frown. 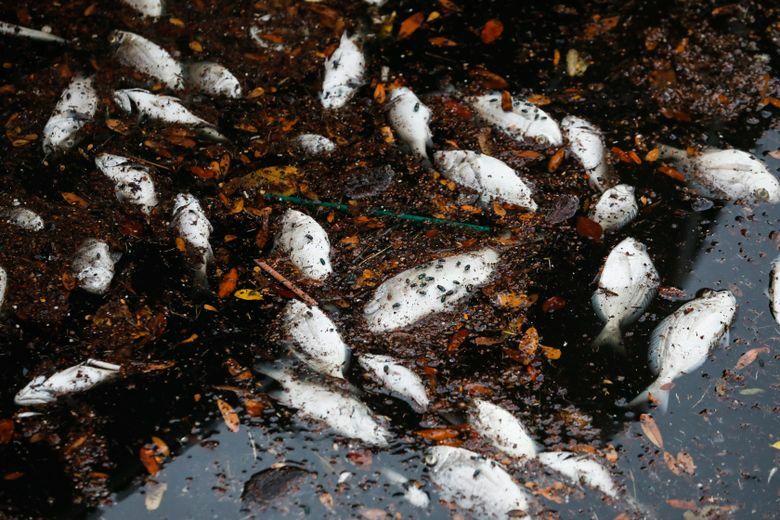 Her eyes itched, she coughed, and the stench was giving her a headache — all telltale symptoms of the monster algal bloom spanning the southern Gulf Coast. 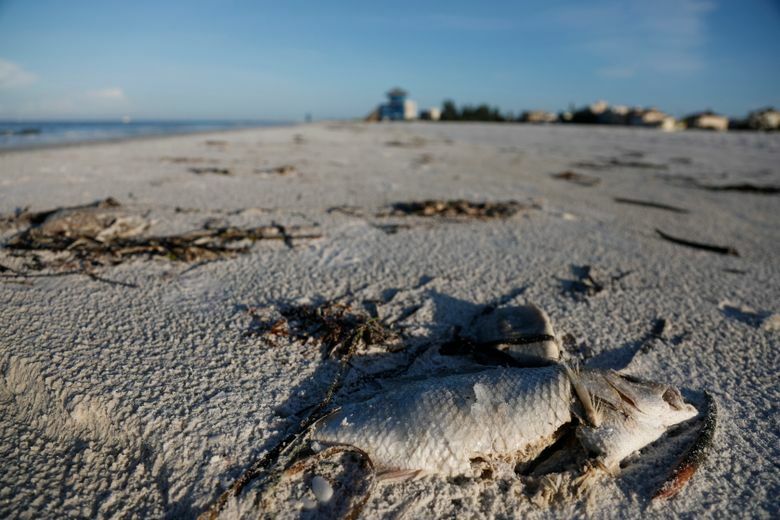 It is killing untold numbers of marine animals from Bradenton to Naples, where rotting fish still lie scattered on a beach behind Gov. Rick Scott’s seaside mansion, even after a cleanup. McShane, who traveled from Ellicott City, Maryland, with her parents for a weeklong visit, scanned the nearly deserted beach, which reeked like a commode that hadn’t been flushed. They climbed into a pickup truck and rushed to Manasota Key Beach, an hour’s drive south, where a baby dolphin was spotted on the edge of the surf. The calf was dead, but its carcass could yield valuable tissue samples that would add to the understanding of how the toxin kills.